The Mercedes-Benz A class hatchback will be sold everywhere but the United States. AMSTERDAM -- Canada is getting two versions of the new Mercedes-Benz A class, a vehicle CEO Dieter Zetsche calls a true "smartphone on wheels" by offering what the automaker says is the most advanced human-machine interface it has developed. 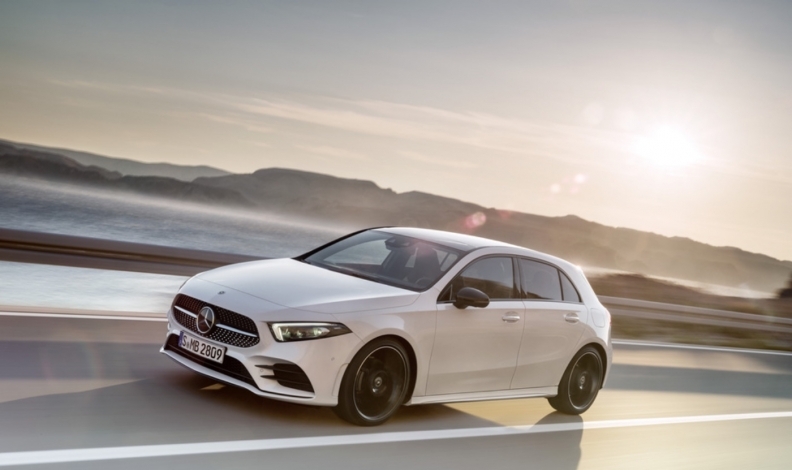 Mercedes-Benz aims to use the hatchback and technology to lure young Canadian buyers to its latest A class, which has never been sold in Canada. The A-class hatchback will not be sold in in the U.S., where local tastes prefer sedans over hatchbacks. Mercedes Benz Canada said it will have more details about the sedan’s Canadian launch later in the year. The all-new multimedia system, called Mercedes-Benz User Experience or MBUX for short, serves as the centrepiece of the brand's next generation of compact cars. "When we drew up the product specification catalogue, we decided that would be the core element," Zetsche, who is also CEO of Mercedes parent Daimler, told reporters at the car's presentation. He added that the A class could be the first true "smartphone on wheels" thanks to MBUX, which Mercedes says offers better displays, improved speech recognition capabilities – which can be activated either via a button on the steering wheel or by simply saying "Hey Mercedes" — as well as predictive learning abilities. With predictive analytics, A-class drivers can be prompted at a certain time of day if they want to change radio stations to listen to the news or change navigation to head to the fitness studio. This is possible because the car can recognize repeated patterns in behaviour. For the first time, A-class drivers can order an optional head-up display that is also configurable, something that was previously unheard of in the segment, according to Mercedes. The carmaker also said the model boasts the highest level of active safety in the compact segment and is capable of driving semi-autonomously in certain situations, a feature previously only available in the more expensive S- and E-class families. Other features familiar from larger siblings include 360-degree parking assist that uses four tiny cameras to transmit a bird's-eye view of the car's surroundings onto the centre console for easy maneuvering into tight spaces. European customers can start ordering the new A class in March. The automaker didn't say when orders can start being placed in Canada. It is expected to arrive in European showrooms in May.